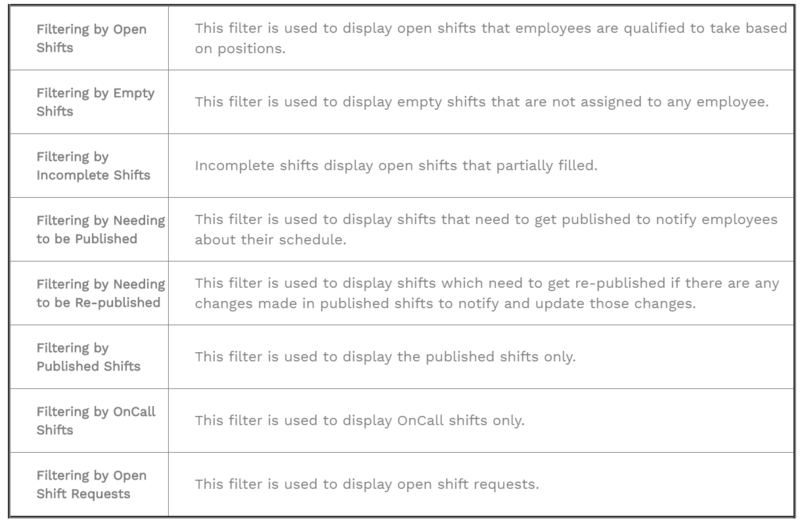 ‘Shift Type’ allows you to narrow down to view your schedule by filtering according to the shift types. The objective of this tutorial is to help you view your entire schedule by narrowing your schedule down to the shifts you want to see using ‘Shift Type Filter’ and help you understand different types of shifts. ‘Shift Type’ under ‘Advanced’ on the left-hand side filter panel allows you to filter and view the schedule according to the shift types. Make sure you navigate to the appropriate dates to view your upcoming/past shifts. You can navigate the schedule to different views with the help of the icons listed on the right-hand side. Step 3: Select the type of shifts from the drop-down menu as shown in Image 3.